We develop, manufacture and commission turn key control systems. World wide brands with combination of our own software provides unique and cost effective solutions to our clients in over 200 applications. We are a leading vendor of systems for control and management of animal food production. Over 20 year experience let us develop customized solutions fit to individual plant needs. They are as much expandable as quickly serviceable via Internet, used by Polish and foreign producers. Since foundation of the company we specialize in concrete production as much aggregate as ACC technologies. We design, deliver and startup batching production lines. We produce and tailor MES software with “Production Manager” tool application, equipped with interfaces to most known ERP systems. We design technology, machinery and control for batch houses in glass works. We also provide turn-key greenfield as well as retrofit solutions for weighing systems and cullet transport systems. 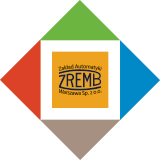 We provide control systems for auto and manual batching. We take part in automation of internal transports. Nasza wiedza i doświadczenie nie ograniczają się jedynie do zagadnień automatyki przemysłowej. Jesteśmy gotowi na duże wyzwania i kompleksowe usługi od koncepcji, przez projekt technologiczny, dostawę i montaż urządzeń oraz rzeczoną automatyzację. Jednym słowem: nie sprzedajemy systemów, ale rozwiązujemy problemy Klinetów.